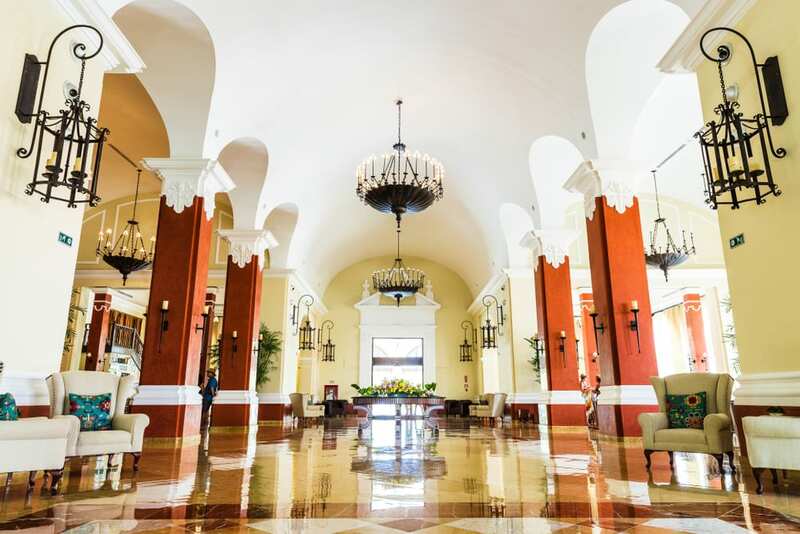 Our owners Kem & Lori just returned from a quick stay at the Valentin Imperial Riviera Maya Hotel in Playa del Carmen. They were there to attend a destination wedding (booked through Enchanted Travel of course!) but it was cut short due to a new member of the family being born a bit early! Read their full review of the 5-star, adults-only all-inclusive property below. 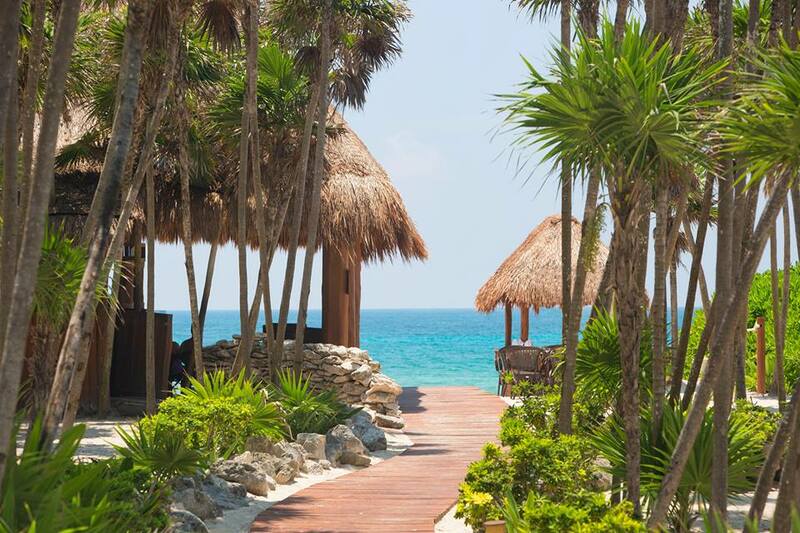 The Valentin is an ideal adults-only luxury resort in the Mayan Riviera. The resort is best described as casually elegant. Here you’ll find two beaches. There is a smaller beach in front of the Emerald Suites, as well as the main beach. 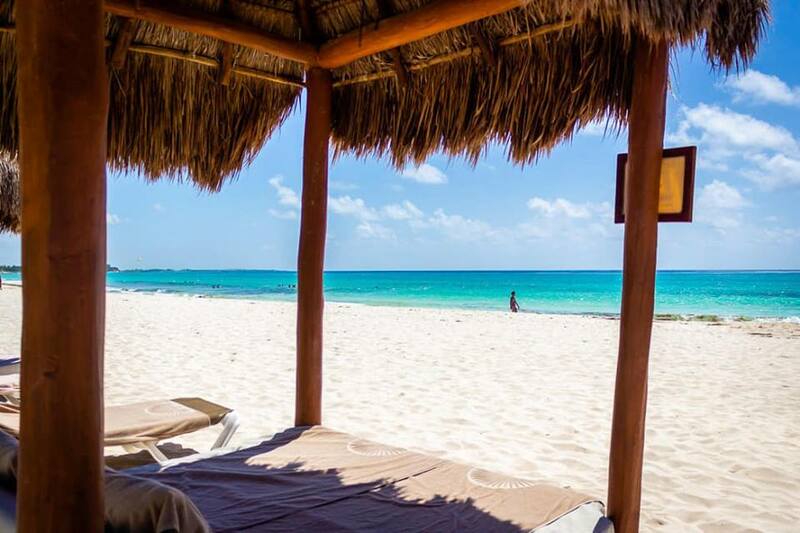 Both beaches are on Playa Secreto, a half-mile stretch of white sand beach. The main pool is one of the largest pools in Mexico and has a large swim-up bar where you can order snacks and cocktails. The pool winds throughout the lush gardens of the property, and since there are no kids allowed, you won’t be bothered by splashing or screaming! Since the Valentin is adults-only, all the on-property activities are tailored to adults. 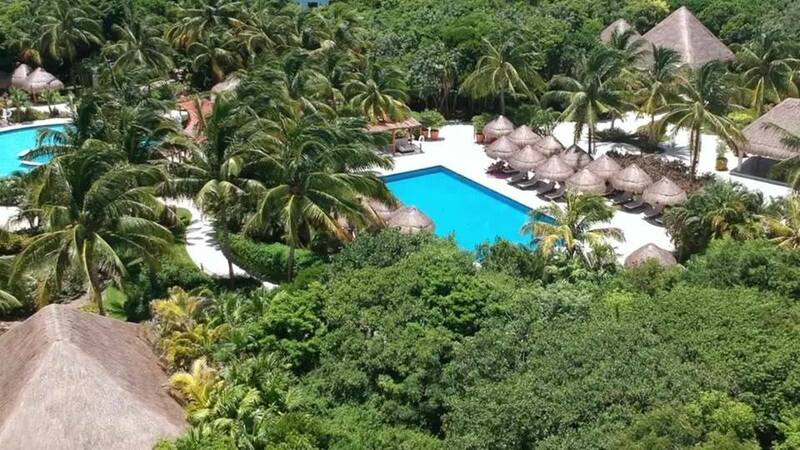 With pools, beaches, live entertainment, and themed parties, there is always something to do and see at the Valentin Imperial Riviera Maya. Sporting activities include water polo, aqua Zumba, beach volleyball, yoga, and even rifle shooting. You can also take a Latin dance class, or laze away an afternoon with tequila and wine tastings hosted by Valentin’s very own sommeliers. Those are just a few of the activities available to you as a guest of the Valentin. The service at the Valentin is unbeatable. The staff is friendly and helpful, and they truly make you feel at home immediately upon your arrival. If you want to experience an even higher level of luxury, ask your Enchanted Travel expert about Privilege Club. This will grant you a better room location, special concierge service, upgraded amenities, and exclusive lounge access. Whether you opt for the Privilege Club or not, you are sure to be met with impeccable service and warm staff throughout the resort. There are several different room categories to choose from at the Valentin, all with a colonial style and emphasis on the colorful culture of Mexico. Standard room features include large furnished balconies or terraces, full marble bathrooms, a hydro-massage bathtub and more. You can also choose to be closer to the restaurants and pools (with a 4-minute walk to the beach) in a Silver Junior Suite. However, if you are looking for more space, opt for a Diamond Privilege Suite or an Imperial Privilege Suite. These corner suites offer the very best views of the resort. Keep in mind that these two room categories in particular are reserved for Privilege Club (see more details above, under ‘Service). If you are not part of Privilege Club, there are still more spacious suites with ocean views and swim-ups available. There are eight restaurant options for dinner, as well as two options for lunch. In addition, there are nine bars on the property, including one that is beachfront, a poolside bar, cigar bar, martini lounge, and one that features nightly live entertainment. Restaurant options include Taman Sari, an Asian fusion eatery open for dinner; a casual Mexican restaurant called La Hacienda; Ginger, serving Japanese cuisine and Teppanyaki; a traditional french restaurant called L’Alsace; L’Olivo, serving Mediterranean cuisine; and two buffet-style restaurants: Le Marche and Mar y Tierra. In addition, you can try The Corner, which is a culinary experience with different gastronomic tendencies. This is the only restaurant at the Valentin with additional charges. 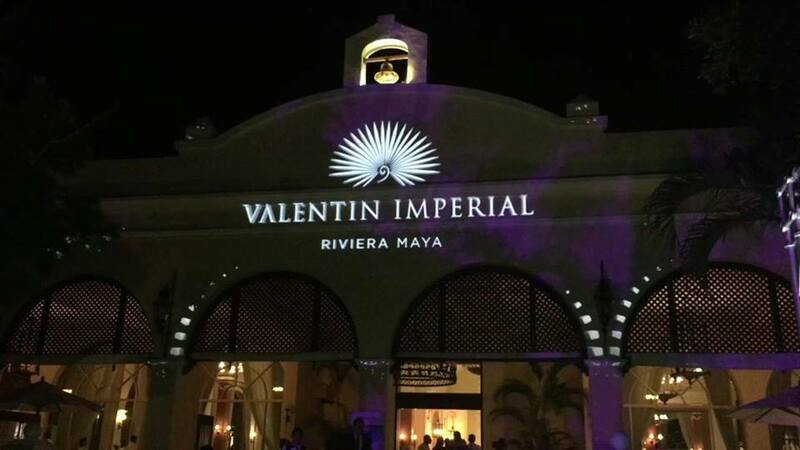 The Valentin Imperial Maya is just a 25-minute drive from downtown Cancun, where you’ll find plenty of nightlife. 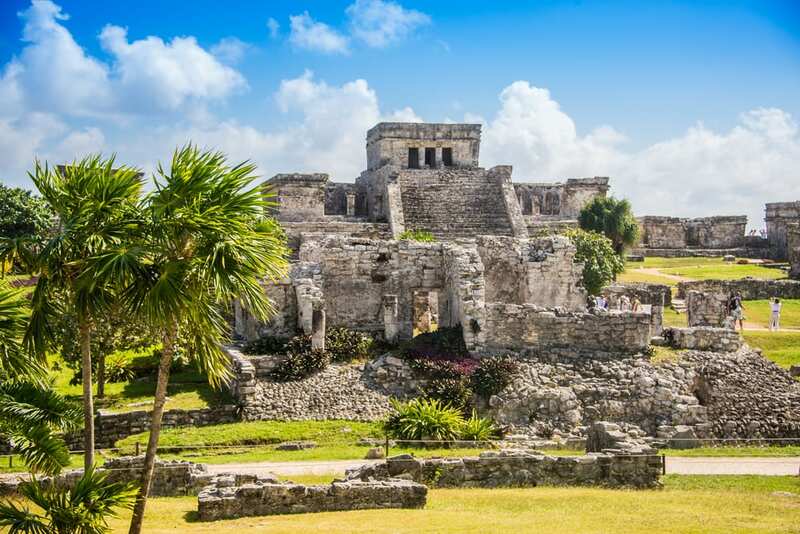 It is ideally located for making a day trip to the ruins of Tulum, Coba, and even Chichen Itza. Xel-Ha, a “natural aquarium” and marine life theme park, is also nearby. 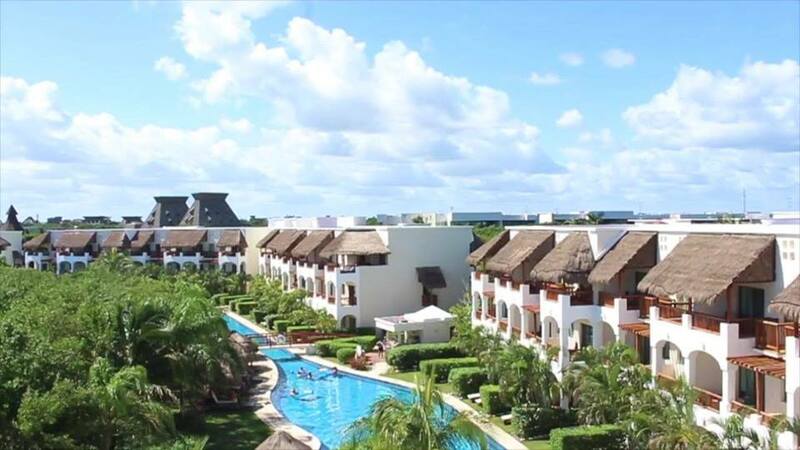 Call us today in order to book your own Riviera Mayan getaway and stay at the Valentin Imperial Riviera Maya. You can reach us by calling 402-281-3022.